Over the past decade a large portion of my work via LangbeinWildlife Associates has been concerned with assessing the scale and distribution of deer vehicle collisions across Britain (with the Deer Initiative, Highways Agency and SNH ); as well as parallel studies and design of mitigation measures aimed at reducing wildlife accidents, undertaken for clients ranging from go vernment agencies and local authorities, to NGOs and private developers. 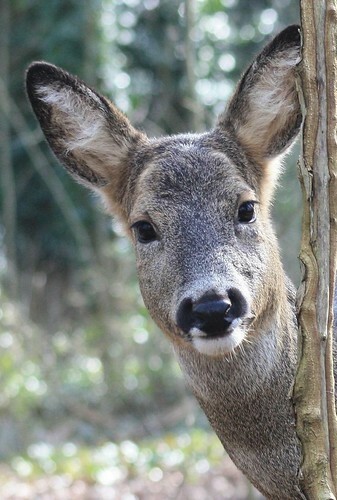 Other main areas of expertise include provision of surveys and advice for preparation of deer management plans – be it for major community forests, park herds or private landholdings; assessment of mammal impact to forestry and agriculture; and application of remote video surveillance techniques, trail-cameras, GIS , and ground based as well as GPS radio-tracking for research. Alongside consultancy work, if not out cycling, you’ll most likely find me filming and photographing wildlife or occasionally sports events.